The Planetary Mixer is Ideal for mixing of wet/dry materials. It has a homogeneous mixing action. The Planetary motion of the beater enables faster and better mixing of material at a considerbly lesser time. It is high shear mixer and is available in variable speed drive. 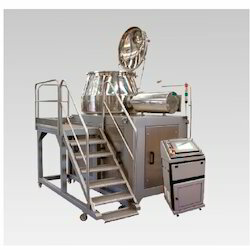 Slow speed is used for dry mixing with less dust generation and faster speed for kneading operation during wet granulation. Portable mixing bowl with top mounted agitator has a dual advantage of material transfer and no risk of gland packing contamination. Oscillating Granulator is used in the Granulation Department for Milling of the product, In milling we can use Multi Mill, Osciallating and Communiting Mill, if you require even granules and lesser no. of fines, then this the best machine, there are 3 models the ouput ranges from 50 kg to 400 kgs. Per hour. The most beautifull aspect of the Oscillating Granulator is lesser no. of fines compared to all other machines. (Optional ) : To vary the desired speed. 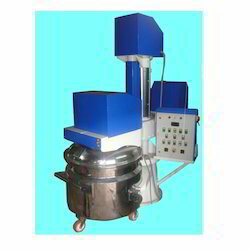 Rapid Mixer Granulator is designed to meet special needs of tablet manufacturing technology.Machine will be complete with Mixing Bowl, Mixing Blades, Granulator, Pneumatic Discharge, Motor, Gear Box, Operating Panel and the Control Panel. Rapid Mixer Granulator is designed to achieve excellent mixing & consistent granules at lower operating cost along with higher productivity. 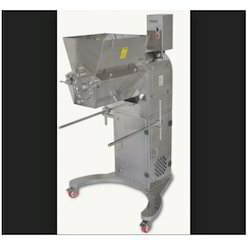 Better mixing closed control of granules size leads to faster tabletting speeds with improved quality & least ejections. 1. Machine is portable on wheels and space saving design. 2. Machine will be provided with interchangeable bowl. 3. Product Bowl has conical design at upper half portion. 5. Chopper will be horizontal positioned. 6. Product Temperature measuring unit will be provided. 7. Spray Nozzle will be provided. 8. Pharmaceutical complaint design according to cGMP. 9. All internal contact parts are polished to the mirror finish. 10. Set of IQ, OQ and DQ will be submitted along with the supply of machine. 11. Operating Manual will be provided along with the supply of machine. 12. Complete Manual Drawings will be provided along with the supply of machine. 1. The seal housing and drive shaft may be flushed with cleaning water, which is then drained away from the machine through built in drain tubes. 2. 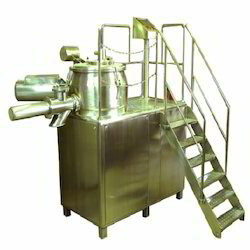 Granulator motor is provided with a removable stainless Steel shroud which covers the motor and simplify cleaning. 3. All moving part of the are totally enclosed to eliminate accident. 4. The machine cannot be started unless and until the mixer cover is properly closed. 5. 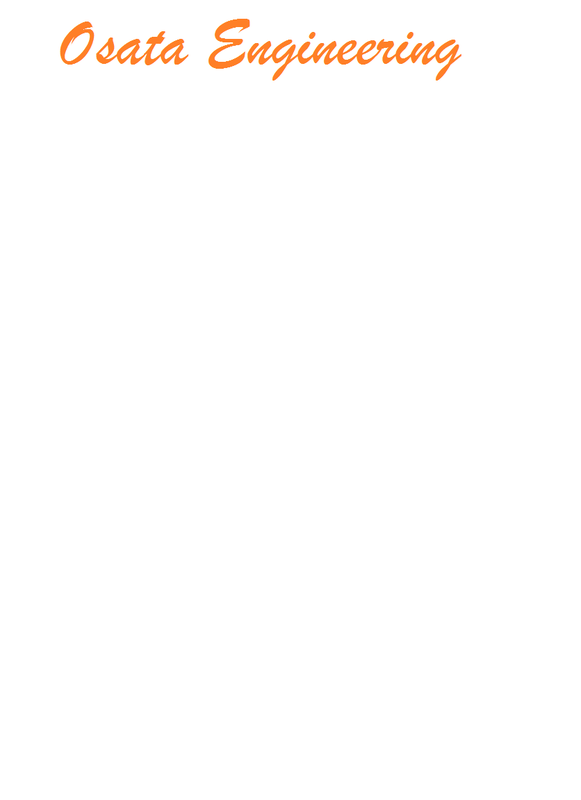 All contact parts are made out of S.S. 316 Quality material. Mixing blade, rotating at 75 / 150 RPM is driven by suitable dual speed Non-FLP Ele motor, 1500 / 3000 RPM, through belt pulley assembly and worm - worm wheel reduction gear box. Looking for mixer Granulator ?